Dalton found his niche as a guitarist during his high school years, where he was inspired by flamenco legends such as Paco de Lucía and Vicente Amigo. He was also introduced to the revolutionary guitarist Andrés Segovia, which gave him further interest in Spanish music and the classical guitar. Originally from California, Dalton earned his BM from San Francisco State University, where he studied under Larry Ferrara. He is currently a Master’s student at the Manhattan School of Music, where he studies with David Lesiner. Dalton has been been described as a highly versatile guitarist by his teachers and classmates. 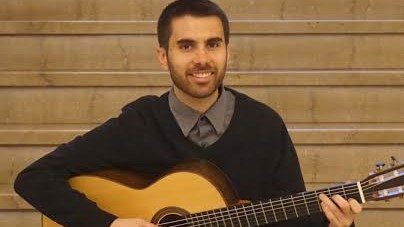 Throughout his studies, he has learned different types of guitar including classical, flamenco, and acoustic fingerstyle. He also has a knack for creating classical arrangements of popular songs, and actively composes new guitar pieces in various styles. Dalton has been teaching guitar for over two years, and truly believes in the individuality of each student. He crafts each lesson based on the needs and the musical desires of his students.